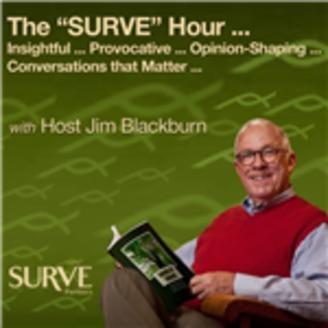 The SURVE Hour is a different kind of listening experience. This counterintuitive broadcast has been created as a conversation inviting you to be part of the bigger conversation. Each broadcast will consist of an insightful and provocative conversation between Jim Blackburn and a guest who will share how she or he is seeing and experiencing his or her world differently as a business leader, educator, or parent. brbr The SURVE broadcasts will be of interest to those of us responsible for overseeing the work and development of other people. A wide range of topics will be discussed in a format that will challenge your current beliefs about your awareness of such things as the side effects of busyness and how it undermines core values, the unspoken causes of burnout, the double-edged sword called success, how competing limits growth, the redefinition of work, and how the majority of our struggles are self-imposed, and more. 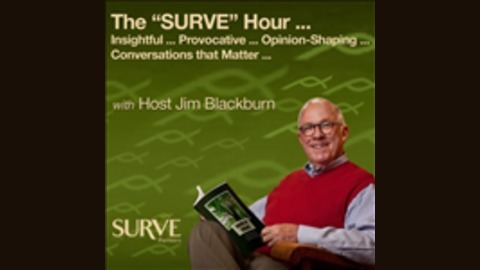 In this episode of 'The SURVE Hour', you will have an opportunity to participate in a conversation with host Jim Blackburn about a uniquely different approach to organizational transformational change that emphasizes a people first, strategy second mindset.